The Railway Station Gardens at Meldreth, Shepreth and Foxton were launched on July 9th, 2011, when the three stations celebrated their 160th, 160th and 163rd birthdays, respectively. The project is sponsored by the Meldreth, Shepreth and Foxton Rail User Group, and is built around the idea of local residents, schools and businesses, who use and enjoy the local railway, creating and maintaining the gardens year round. We want to give our stations a village identity, and to encourage use of the sustainable transport network on our doorstep. Each garden has its own theme depending on the configuration of the station property and amount of land available, as well as the interests and input of the local community. Foxton’s garden is necessarily confined to the platforms and focuses on planters. Shepreth’s garden makes use of the area around the entrance area adjacent to the car park, and has a wildlife theme garden sponsored by Shepreth Wildlife Park and Barrington Primary School. Meldreth’s garden makes use of the plot of ground in front of the Indian takeaway, where the Meldreth Primary School Gardening Club has created a flower and vegetable patch on the site of the old station master’s garden. All three stations have planters on the station platforms. Local people – individuals, families, schools or businesses – are welcome to sponsor the care of one or more of the planters. 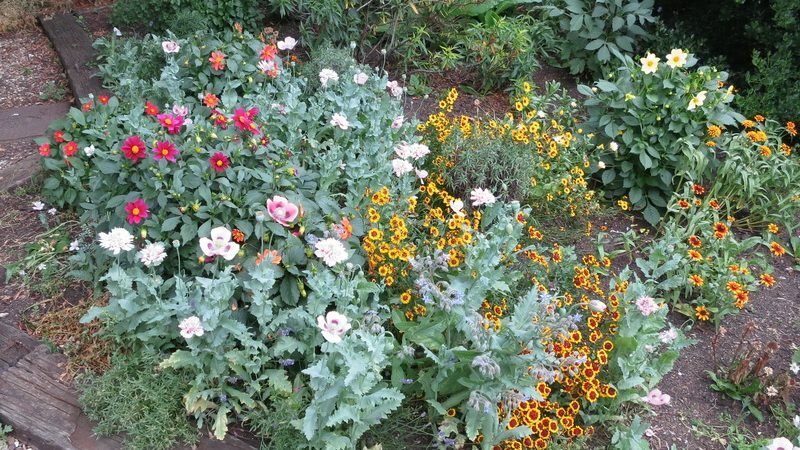 This can involve supplying potting soil and summer or winter annuals, which can either be purchased or grown in advance from seed. You can also help with maintaining the good care of the planters, in whatever way suits you. Helping with the watering rota is always needed – even just being on holiday cover for someone else. At each station, our sponsors’ names are displayed on our Rail User Group notice boards. Vandalism is a sad fact of life these days but we will take a practical attitude and simply replant if necessary – though happily we’ve had almost no trouble so far. Please get in touch if you would like to get involved in any small way!